Kaminski Auctions is pleased to present several important paintings and furnishings that have descended through the John Quincy Adams family in the Sunday, August 20, 2017, estate auction starting at 10:00 am EST. John Quincy Adams, 6th President of the United States was the son of John Adams, 2nd President of the United State and Abigail Adams. John Quincy Adams married Louisa Catherine Adams and had four sons. Their third son Charles Francis Adams Sr. served as Ambassador to England during the Civil War. The property offered is from the estate of Brooks Adams of Chestnut Street, Boston, Massachusetts, son of Charles Francis Adams Sr.
Brooks lived at the Adams Historic Site Park Old House Quincy, Massachusetts. He died in 1927 in his Boston home and these items passed to Abigail Adams Homans thence to Abigail Adams and Mason Browne. 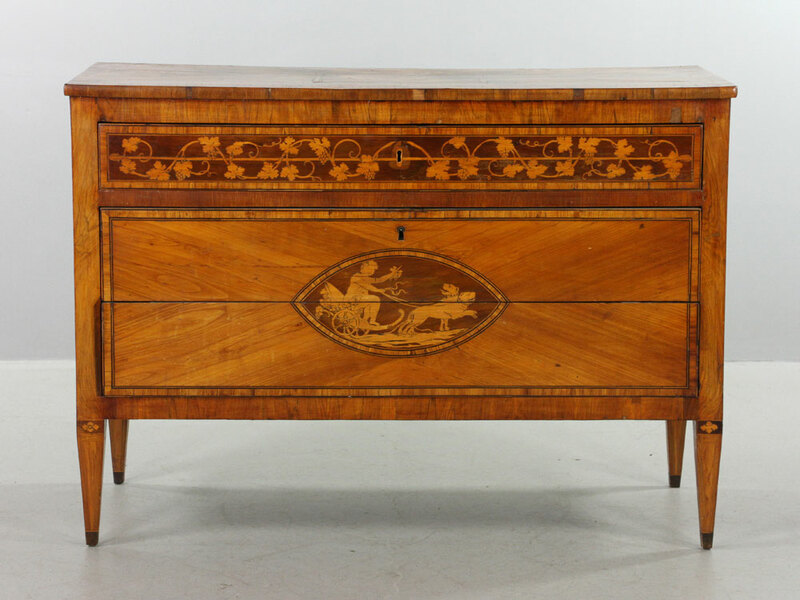 The collection includes an important 18th-century Neoclassical inlaid chest, a painting of the H.M.S. 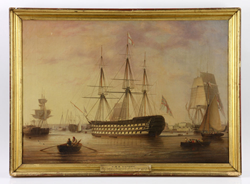 Victory, Admiral Lord Nelson’s flagship painted by R.S. 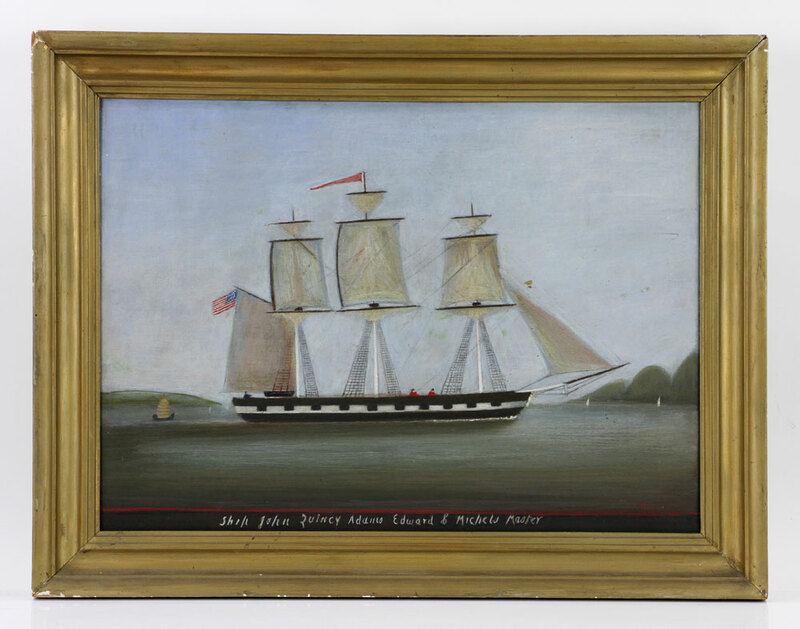 Thomas dated 1838, a ship painting of the John Quincy Adams, Edward B. Michels Master signed with monogram and much more. Other items of interest in the sale include a late 19th/early 20th-century European skeleton clock, a Renato Bertelli Art Deco terra cotta sculpture titled “ Donna Con Pettine and a large selection of jewelry including a men’s Rolex watch with diamond bezel. The auction will be held at the Kaminski Auctions gallery at 117 Elliott Street RT.62, Beverly, Massachusetts. For more information go to http://www.kaminskiauctions.com and sign up to bid with KaminskiLIVE.